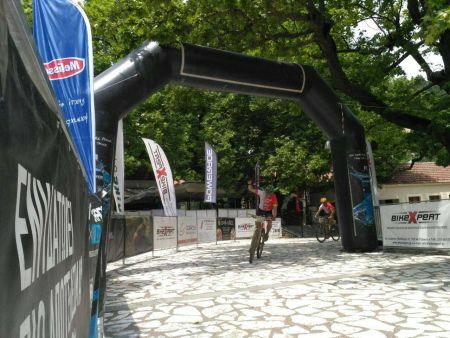 Α dynamic entrance for the 7th day of Bike Odyssey! Chaos in the 8-days, as on one hand, five teams are very close to each other, with the two top teams in the overall ranking being in the leading group but not in the first places. The difference between Pedal Force One and BikeBoard in the overall score is four minutes, and today's and tomorrow’s stage are particularly critical. An important role in the tactics of the two teams will play the very nature of the last stages. The current stage is a big distance, mountainous in its largest part. On the other hand, tomorrow's stage is on its biggest part downhill and is the second smaller distance of the Bike Odyssey (56.5 km). In the 5th stage of the race, which is the shortest one of the event, no team ever gained much of a lead because of its short distance. The tactics that the two teams will follow is expected with great interest as the stage goes on.